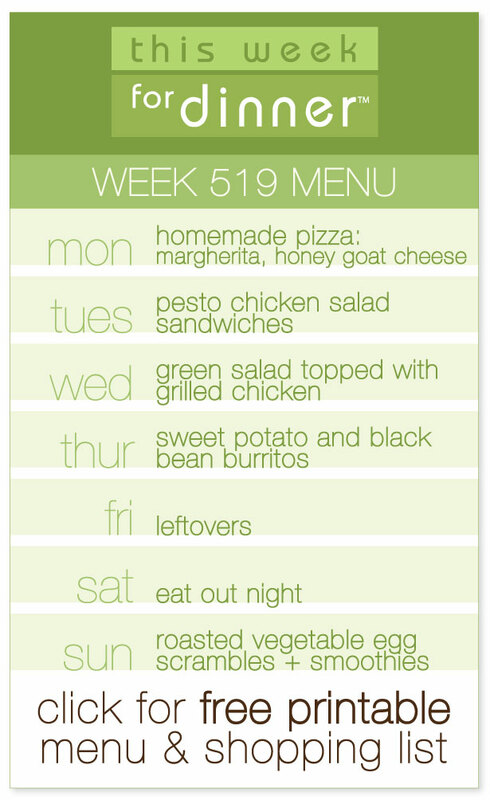 This Week for Dinner: Week 519 Menu + 2017 New Year's Resolution Cook More! Week 519 Weekly Menu + My 2017 New Year’s Resolution – Cook More! Today I’m combining the weekly menu with my annual New Years Resolution post because they are closely related. Let’s talk about the resolution first then get on to the weekly menus, shall we? Every year I choose a resolution that helps our family to Eat Well and Heal the Planet. For 2017 my environmentally-friendly kitchen resolution is to, quite simply, cook more. And while the goal itself may seem simple, the reasoning behind it is more complex. This will be my eighth year where my New Year’s resolution is focused on how my behavior in the kitchen impacts the environment. These past seven years have been awesome and the resolutions have truly helped me become more conscious than ever about how my food choices impact Mother Earth. It’s been a transformative process for me and I hope my journey has had a positive impact on others, too. Last year our family’s food-environment resolution was to Waste Less Food. I started a compost bin, which is still going strong, and we’ve tried really hard to, well, waste less food! One of my biggest takeaways last year was that eating out was our family’s biggest source of food waste. Not only did more food get thrown away when eating out, but there was so much more garbage per person with takeout containers and the like. This is contributing factor #1 to this year’s resolution to cook more. I don’t want to jump on the whole “2016 was the worst” bandwagon, but I will tell you that, for personal reasons, 2016 was at times quite challenging and I cooked less this year than I have in probably a decade. I was dealing with SI joint dysfunction for much of the year, and then I had a crazy car accident in November, just as the holidays got going. Plus, you know, life is busy. Work, kids, etc, etc, etc…we all know how it goes. As a result, this year found me in the kitchen far less than usual. Making dinner became a source of stress and something I thought I didn’t have time for. By the end of the year, my decreased levels of cooking have really had me down. The last two weeks I’ve been cooking a lot more. I visited our weekly farmer’s market for the first time. I’ve thought a lot about my relationship to food and what it means to me. This is contributing factor #2 to this year’s resolution…so let’s talk about the resolution itself! I want to cook more! I want to feed my family better. I want to feed myself better. I want to care about my food again. I want to enjoy the cooking process. I want to be inspired by food rather than stressed by it. I want to go to my local farmer’s market and be inspired by the local, seasonal ingredients I find each week. And I want to help the environment – the best way I can do that in the kitchen is to simply COOK MORE. So, that’s the goal! Less eating out. More cooking. More getting back to the love of food and savoring the time it takes to prepare it. Are you with me? Are you already there? Share your tips if you are! And, in case you missed it, I wrote an article for Mom2.com in October where I shared my friends’ tips for cooking dinner every day, even when life gets crazy. There is some good stuff in there, I highly recommend you check it out! And now my first menu of 2017! Note: we are still going to eat out, but I’m limiting it to once a week! I will continue to post menus every weekend and hope you all will continue to share yours in the comments! I am beyond grateful for the interaction we have here on the blog and your menus are a true inspiration week after week! Click here or on the menu graphic above to access this week’s free printable PDF of the menu and ingredients list! Your turn! Please share your menu in the comments…simple, fancy, whatever! And if you have any thoughts about this year’s resolution, please share those as well! Happy New Year and Happy Cooking! I love that resolution and (you probably already know) that was the one that kicked off the whole “eat well heal the planet” idea to begin with! 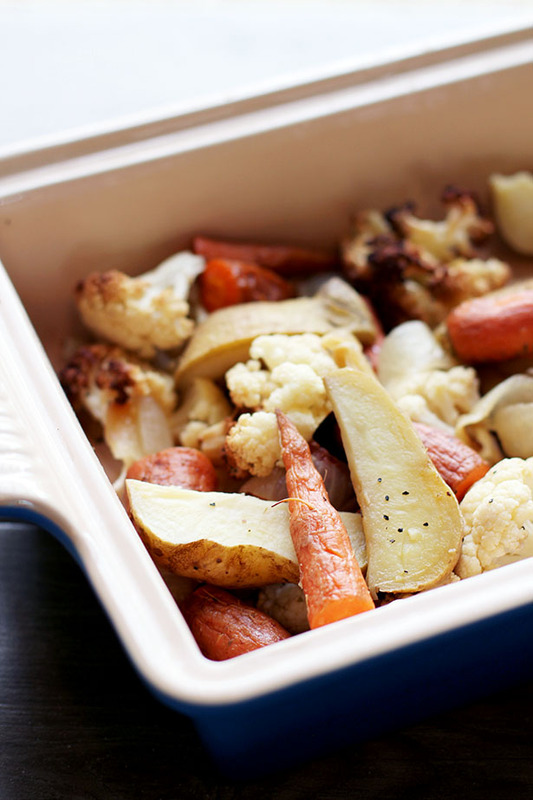 I actually am going to try to incorporate a lot more vegetarian dishes again myself! good luck with meatless monday, looking forward to seeing what you make each week! S: Planning a cocktail party. Still working on details. I also struggled with meal planning & motivation to cook this past year. I am setting a goal to plan at least 4 meals per week. I also have started going back to the farmers market in December, I just have to try not to over buy and create waste. Happy New Year! it sounds like you and I are living parallel lives in the goal department…let’s support each other this year! I too have started going to the farmer market and it’s really re-fired me up to cook! hope you had the BEST TIME! Tonights bonus meal: Seafood Gumbo. No New Year’s Resolutions here. We are just going to try to eat in more for saving $$. I’m also adjusting my “normal” working hours to 7:30-4:00 so I can get home earlier to get a meal going if it’s not a slow cooker meal. We are also going back to a 90% Paleo diet. We both felt so much better, we raise almost all our own meat (we have a 100% natural grass fed cow in the freezer from the hubby’s job, we raise our own goat and lambs, and we will raise some of our own fowl. Though, I still hit up Costco for boneless skinless thighs and breasts. The only animal we haven’t raised ourselves yet is a hog. I guess if you want to make it a resolution – we resolve to get our garden going in full force again. we have about 1//3 of an acre garden area that has laid fallow the past couple years to life being too busy. I can’t wait for my own produce again. I hope everything is okay with your boy child – sending love! your new work hours are going to be so wonderful, I am certain you will find it easier to get cooking. also, I am so glad you shared all of this about yoru goat and lambs and everything – what a fun peek into your life. I LOVE IT! I’m toying with the idea of doing a garden this year…hmmmm…. My food resolution is to eat more vegetables. We already eat veggies, but I want to eat even more and find ways to eat them for breakfast and lunch on a regular basis too. I’ve started putting my weekly roasted veggies into egg scrambles every morning…it’s been delicious and I am totally eating more veggies! it is SO HARD to all sit at the same table when school is going…a worthy resolution! Extra meal idea, in case I am feeling overwhelmed or do not have time: Papa Murphy’s pizza and salad. awwwww, I am so happy you posted a menu! yippee!!!! My cooking related goal is to make simpler meals. I like to cook and I get bored easily, so getting food on the table takes more planning, shopping, and cleaning up than I enjoy. I will experiment with different strategies. 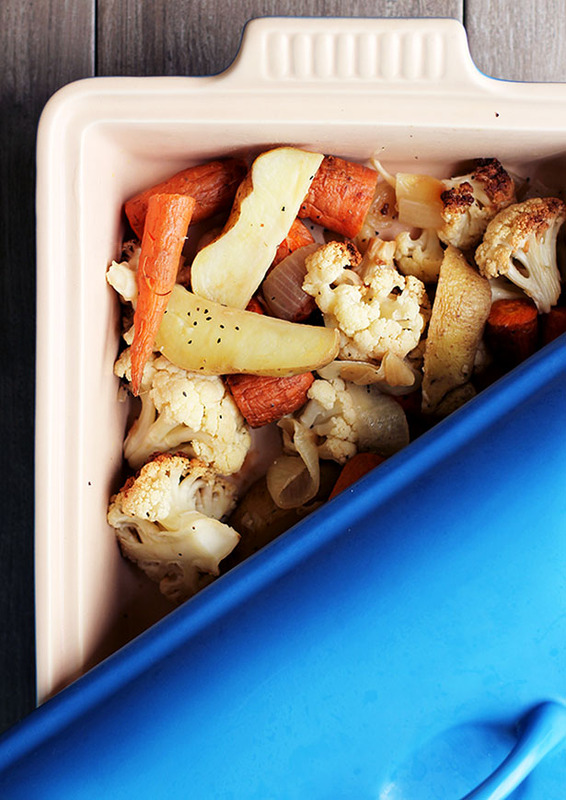 The first is something I’ve had some success with in the past — I will cook a big roast on Sunday and then use leftovers to make new meals during the week. that is a great strategy. and I agree on the simpler meals – I’m trying to think that way more, too…it makes cooking dinner much less daunting! Same resolution as always – try to meal plan and eat healthy! happy new year to you all, and thank you for all the wonderful menus! sitting down to plan the next week and so grateful for your ideas!